Heart Birdseed Feeder Set. There’s no better way to entice beautiful wild birds to flock to your backyard than with a wholesome seedcake. 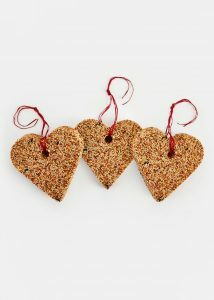 This set of three shaped seedcake ornaments can be hung outside to nourish your feathered friends throughout the year. Simply unwrap, hang from the included red cord, and enjoy a steady stream of winged visitors. 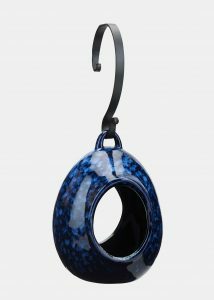 Ceramic Fly-Through Bird Feeder. 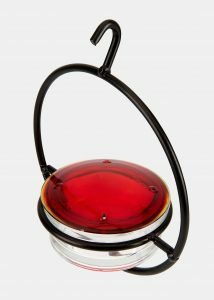 This uniquely shaped feeder is the perfect size for backyard songbirds. 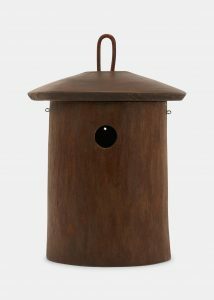 The easy oval-shaped entrance allows birds to stand comfortably as they feed and provides shelter from the rain or winds. Hummingbird Feeder. 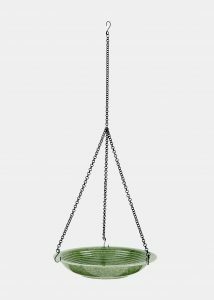 Attract hummingbirds and other birds to your yard year-round with this lovely recycled-glass and metal feeder. 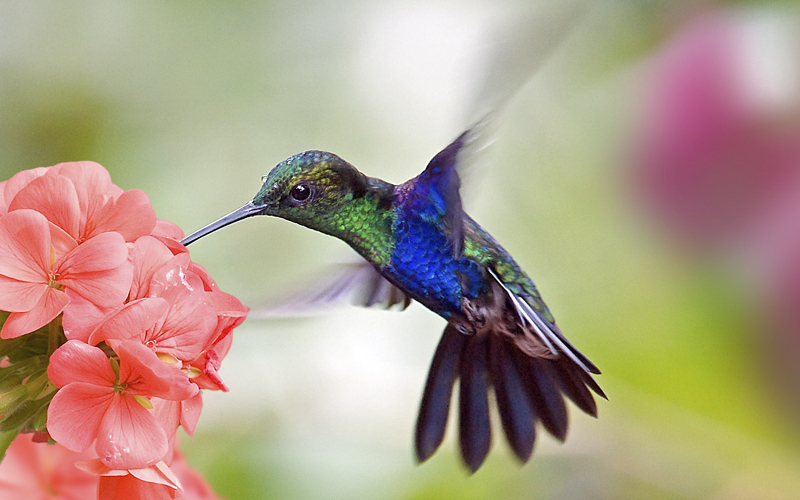 In warm weather, pour hummingbird nectar into the dish; in winter, use it to hold suet, pellets, or birdseed and turn your deck or porch into a nature preserve. Painted Mango Wood Birdhouse. Provide a safe haven for your feathered friends, such as chickadees, wrens, and other small cavity-nesters. The unique shape of the home displays the mastery of the artists who create each individual piece. Mango Chickadee House. 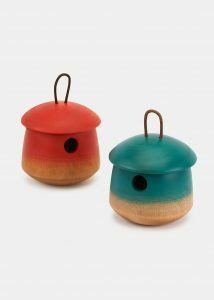 Hand-sculpted from the harvested trunks of mango trees, this small cavity-nester birdhouse features a high-quality multi-coat polyurethane finish to ensure longevity in the elements. Ceramic Hanging Birdbath. This ceramic birdbath makes a lovely addition to your backyard or garden space. 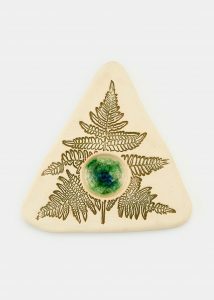 Made from durable and attractive porcelain stoneware that’s designed to withstand outdoor exposure, the beautiful glaze accentuates the concentric circle design. Ladybug House. Create a happy place for the lovely ladybugs that help out in your garden. 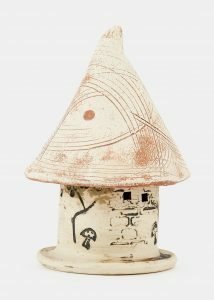 This ladybug house is crafted from weatherproof natural clay and makes a regal home for these beloved spotted friends. Butterfly Puddler. When all other safe havens have dried up, this puddler is the perfect watering spot for birds, butterflies, bees, and bugs. The fern design is an elegant accent in any garden, and needs only to be filled with sand and water. Simply place the puddler within view and enjoy watching the creatures that come to visit.